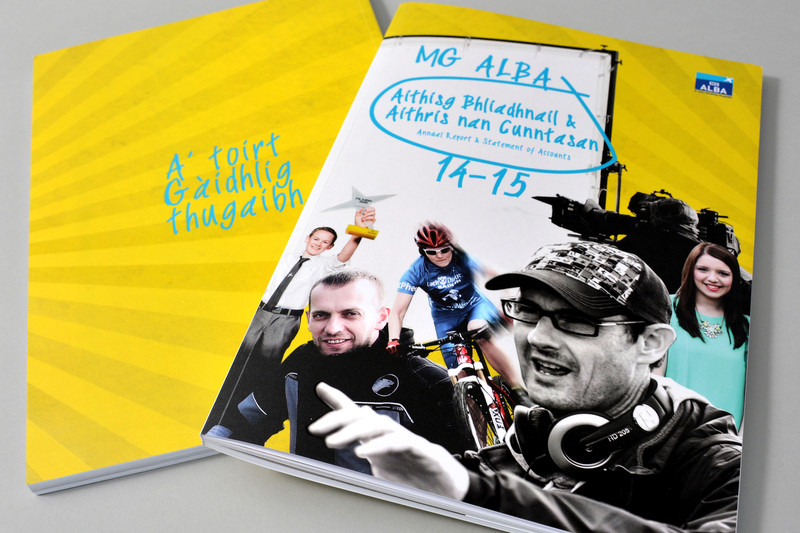 CGS has delivered MG ALBA’s Annual Reports for over 10 years. The document is always in Gaelic and English and this gives us the opportunity to show off our skills in bilingual design. We have consistently risen to challenge of creating an exciting document whilst adhering to the company’s targets and guidelines. Bilingual design is a challenge we relish. Year on year, careful use of images brings this formal document to life.